ALL-Ireland senior champions Dublin have been honoured with seven representatives on the 2018 TG4 All Star team. 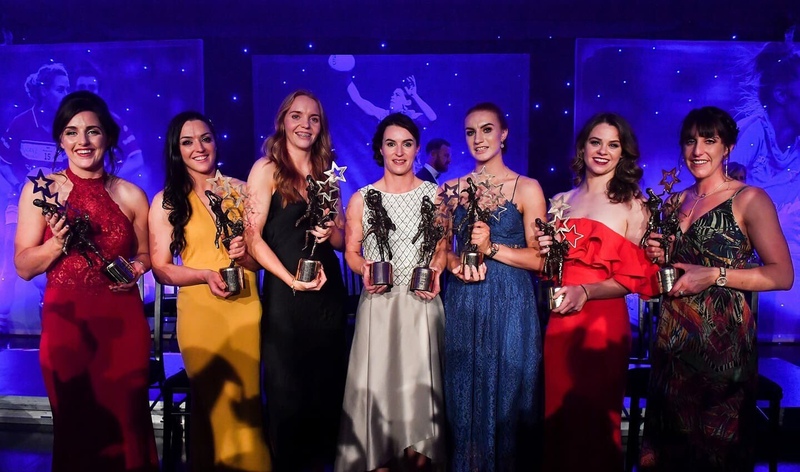 The selection was revealed on Saturday night at the annual TG4 All Star awards banquet, in association with Lidl, at the Citywest Hotel. Captain Sinéad Aherne received a seventh All Star award, and her third in a row, and there was a sixth in seven years for right-half-back Sinéad Goldrick, who will line out for Foxrock-Cabinteely in next Saturday’s All-Ireland Senior Club Final against Mourneabbey. The Cork club have the O’Sullivan sisters – county captain Ciara and Doireann – included on the 2018 TG4 All Star selection. It’s the second year in a row that a set of sisters was named on the All Star selection, as the Hegartys from Donegal, Ciara and Niamh, were listed on the 2017 team. 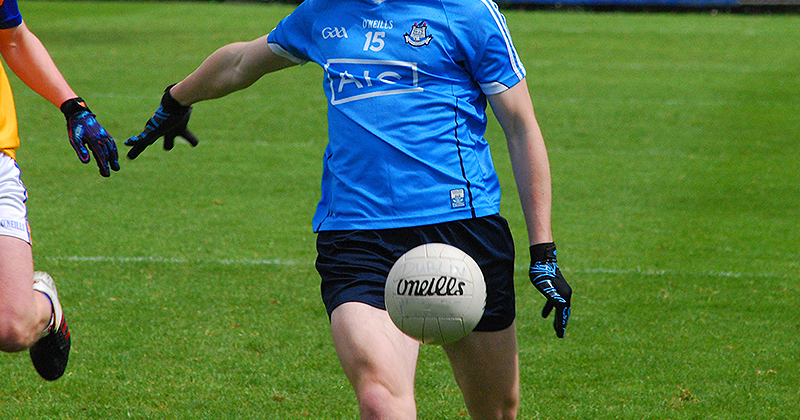 Aherne and Goldrick are joined on the 2018 list by Dublin team-mates Ciara Trant, Siobhán McGrath, Lauren Magee, Noelle Healy and Lyndsey Davey. Trant wins an All Star for a second successive year, while McGrath picks up her first gong since 2010. Midfielder Magee is one of five first-time recipients, 2017 Senior Players’ Player of the Year Healy wins her fourth All Star award, and a third in a row, while Davey is also honoured for the fourth time. Trant, Healy, Aherne and Cork’s Emma Spillane are the only survivors from the 2017 selection, as TG4 All-Ireland Finalists Cork picked up four awards in total. 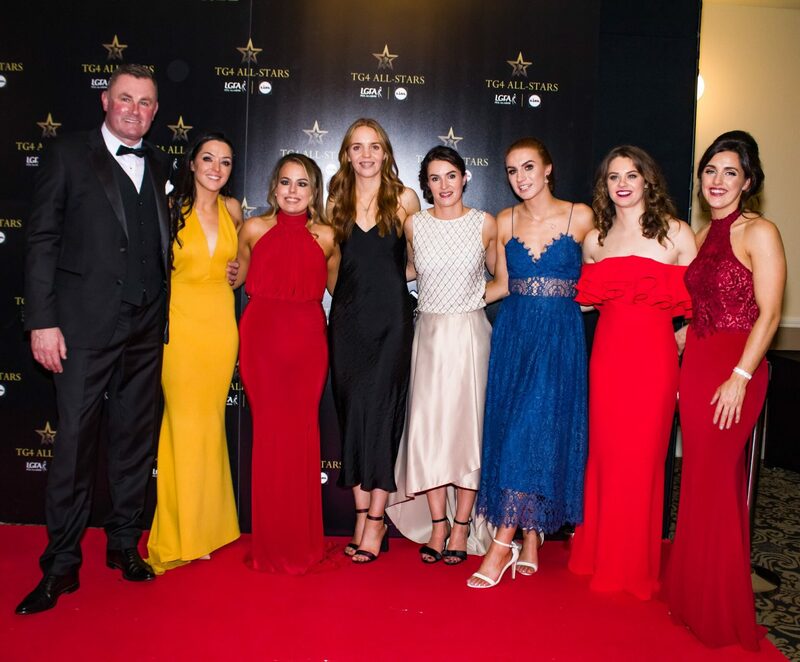 Ciara, now a four-time winner, and Doireann O’Sullivan, who collected her first, are joined on the team by Spillane and another first-time recipient, Róisín Phelan, who’s named at full-back. Spillane received an award at right corner back in 2017 but this time she earns the left-half-back slot. The remainder of the team is made up of players from Donegal, Galway, Kerry and Tyrone. Donegal’s Treasa Doherty earns her first All Star at right corner back, while Sinéad Burke from Galway is also named for the first time on an All Star team at left corner back. Tyrone’s 2018 TG4 All-Ireland Intermediate Championship winning captain Neamh Woods collects her second All Star award, and first since 2008, at midfield. And there’s a third award for Kerry sharpshooter and captain Sarah Houlihan, who was last honoured in 2013. 7 Dublin, 4 Cork, 1 Donegal, 1 Galway, 1 Kerry, 1 Tyrone.